After a busy summer season and a well deserved break, Cardiff Male Choir resume rehearsals this Wednesday to prepare for their Autumn season. September and October will see the choir singing at several charity events, raising money for Guide Dogs for the Blind and the Noah’s Ark Appeal (more information to follow). 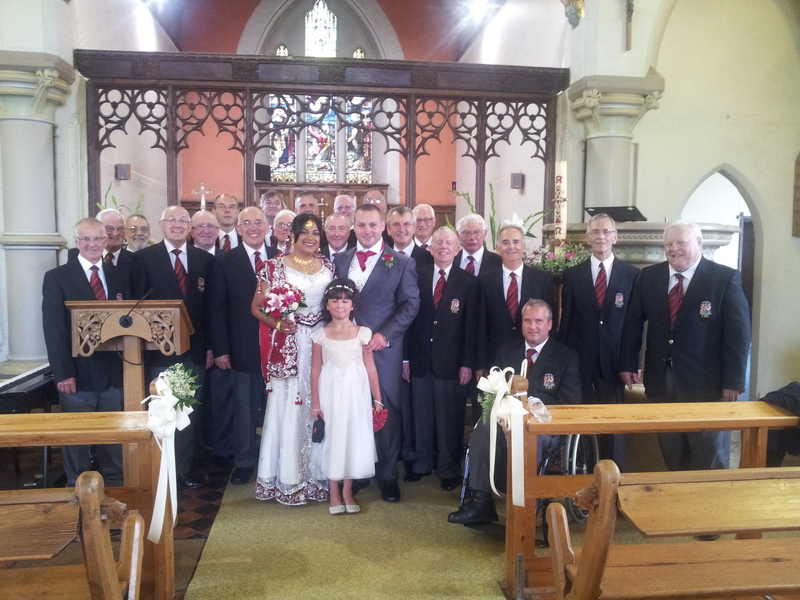 The choir also have several wedding engagements. Whether you have sung with a choir before, or just like to sing in the shower, we would be glad to have you on board! September is the perfect time to join the choir as we are about to start a new set of music ready for our Autumn/Winter concerts. 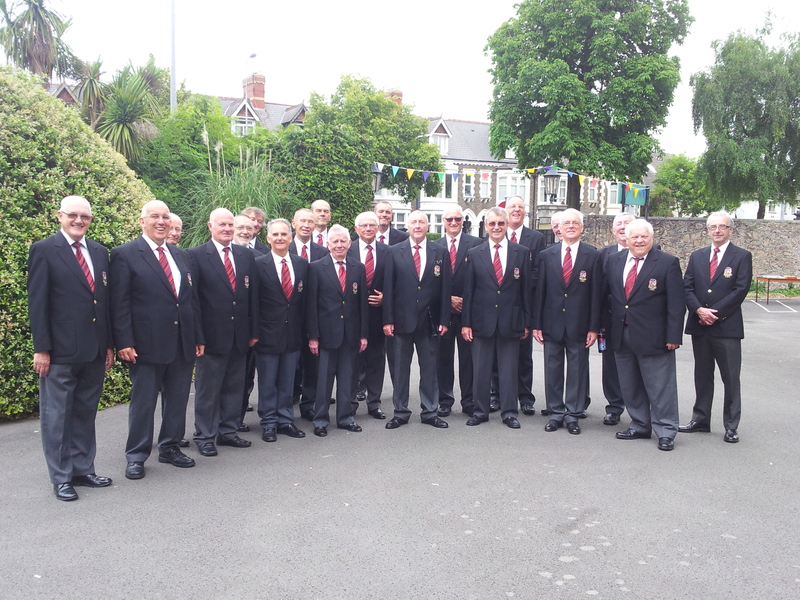 Cardiff Male Choir joined football teams from across the UK at a parade at Cardiff Bay in early August. 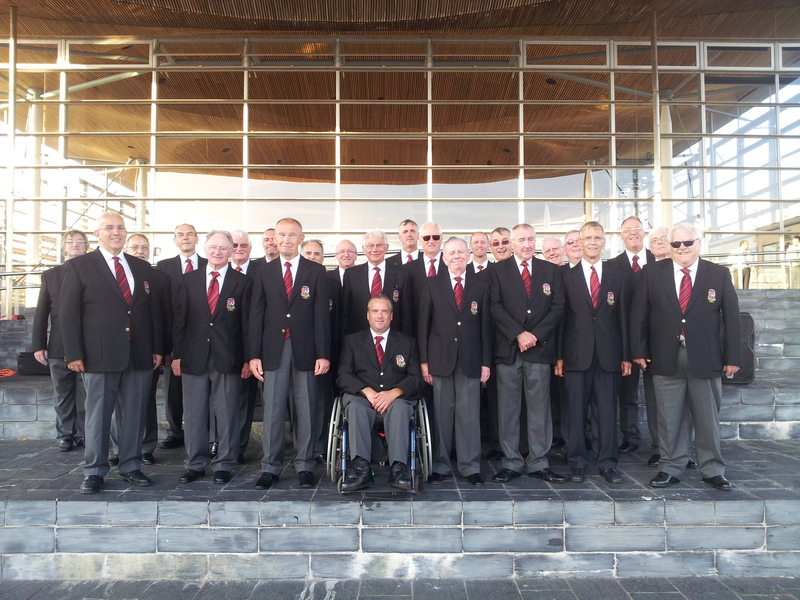 The choir sang traditional Welsh Male Voice items as the football teams paraded in front of the Senedd: The National Assembly for Wales. The event was attended by John Griffiths AM, The Minister for Natural Resources, Culture and Sport. 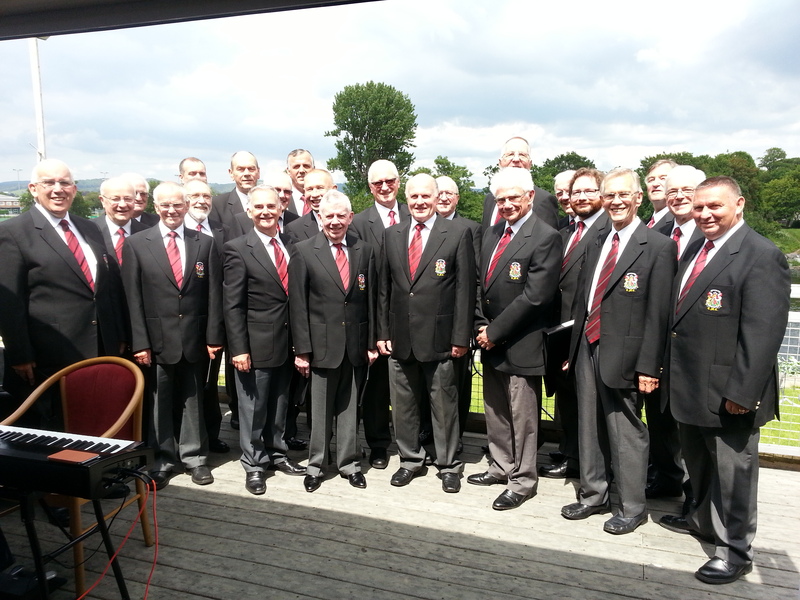 The choir sang a number of show songs at George Thomas Hospice’s ‘Vintage Fayre’. George Thomas Hospice Care provides specialist home based nursing and practical advice, emotional and spiritual support, medical equipment, therapies, treatments and day care activities and bereavement counselling. For more information, visit their website: George Thomas Hospice Care. 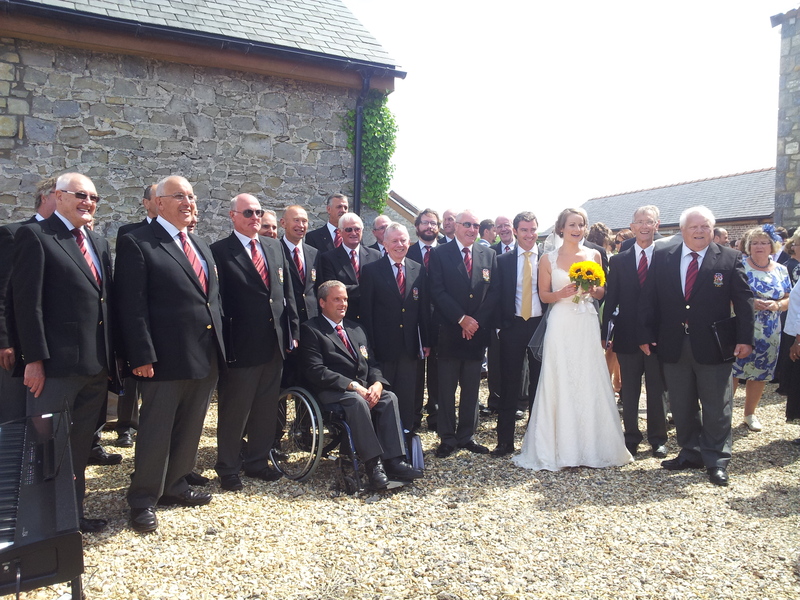 And with the glorious sunshine came a number of weddings, including the wedding of a chorister’s daughter! The choir also learned a number of Australian songs for an Australian groom! If you would like to add that special touch to your wedding day, why not email us.